Before an Acquisitions Editor or an Agent reads a word of your manuscript, they can tell if it’s properly formatted. It’s about more than looks. Sure, they’re going to decide on buying your work largely on the writing and market potential. So why is formatting so important? Any errors will have to be fixed before printing — which adds costs on their end. Poor formatting indicates that either you didn’t read their submission guidelines or can’t follow directions. Proper formatting doesn’t guarantee publication, nor does poor formatting guarantee rejection. But you’ve worked hard on your manuscript. You want to give it the best chance to become a book. Simple instructions to formatting in Microsoft Word. Getting Started: What is a Manuscript? A manuscript is your work of fiction or nonfiction that you submit to a publisher or agent in the hope that someone will turn it into a published book. Formatting is how your manuscript looks. This includes things like whether the lines are single- or double-spaced. What size font? What typeface? How are numbers rendered — as digits or written out? Each agent and publisher may have slightly different submission guidelines — some specifying that they prefer The Chicago Manual of Style or the AP (Associated Press) Style, and some offering style specifics of their own. If you’re submitting to one who specifies, naturally you want to give them what they want. But some don’t give instructions beyond “standard manuscript format.” Then your best bet is to make your own choices, but be sure you’re consistent. For instance, if you write out numbers between zero and nine and use digits for any after that, do it the same way every time. If they wanted to change them, they can do it easily. As for how to layout your manuscript pages and determine their look, following certain general rules will make your manuscript look professional. For more detail, refer to the “Implementing Formatting” section. Create a header with the title followed by your last name and the page number. The header should appear on each page after the title page. 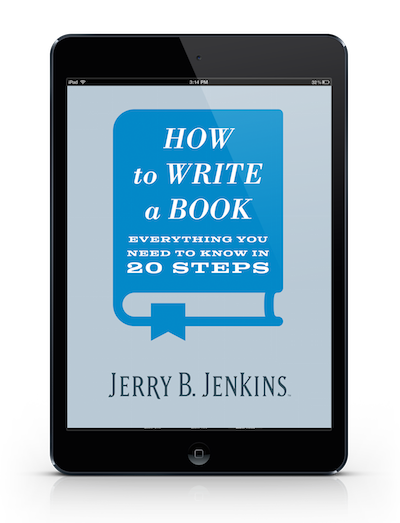 Additionally, agents and publishers want your name, email, address, and phone number in the top left and word count to the nearest hundred in the top right of your title page. Your title should be about a third of the the page from the top and centered. It should be the same size and font as the rest of the text. Don’t make it bold, italic, or larger. Here’s more detail on each of these rules to help you understand how to format your manuscript in Microsoft Word. Twelve-point is the size of the text (letters an inch high would be 72-point type). Make sure your formatting is set to 12 by clicking this button in Word. To format your document all at once, press and hold Ctrl and press A to select the whole document, then use the font change box to change all the text. You can apply this same procedure to any editorial change you wish to make in an entire file at a time. Those of us who learned to type on typewriters were taught to hit the space bar twice between sentences, and it’s a hard habit to break. But you never see more than one space between sentences in published books. So if you’ve already written your manuscript with two spaces between sentences, don’t despair. There’s a shortcut to fixing this in Microsoft Word. Choose this option in the menu shown here, not by hitting the space bar several times at the beginning of each paragraph. This way your new paragraphs are automatically indented when you hit Enter at the end of the previous one. Ragged Right means your text doesn’t line up perfectly against the right side of the page the way it does on the left. In a published book, text is often Justified, but that’s after editing and proofreading and final formatting. For your manuscript, any copy that you don’t want centered (like chapter titles) should be Flush Left and Ragged Right. Notice that the second paragraph adds space between the words to make the lines all the same length. Click here to make your text ragged right. Your margins are the white space at the tops and bottoms and sides of the page where there is no text. They should be one inch by default. If you need to adjust them in Microsoft Word, simply click on Layout, then Margins, and choose the first option, Normal. A header is text that appears above each page before the first line. For your manuscript it should show your last name at the left, the book title centered, and the page number to the right. Do not include a header on the title page. To create a header in Microsoft Word, move your cursor into the margin above the top line and click twice. A new tab should appear at the top that reads “Header and Footer Tools.” Within that, click the button labeled “Page Number.” You’ll see a drop-down menu that allows you to place the page number on the right. To keep your header from appearing on the first page, press “Different First Page” under the “Header and Footer Tools” tab. Too many writers worry more about formatting that they do the writing of their nonfiction book or novel manuscript. If all the above tips read like Greek to you, get a young person to walk you through them. And if all else fails, follow as many of the basics as you can. The crucial ones are san serif typeface and 12 pt. size, Ragged Right, double spaced lines, one space between sentences, and indented paragraphs. Most important to an Agent or an Acquisitions Editor is whether you have something to say, can write it engagingly, and tell a story (fiction or nonfiction).